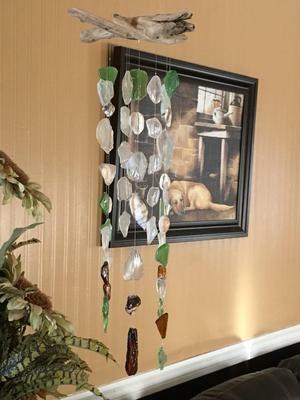 These are two sea glass mobiles I made during the weekend. The drift wood and sea glass I found on our beaches here in Cape Breton. 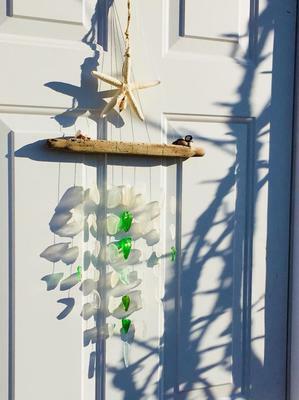 I used 12 pound test fishing line which works very well with the E6000 transparent glue in keeping the sea glass secured on the fishing line.